Discrimination in the workplace is not only hurtful, it can also affect your ability to support your family. 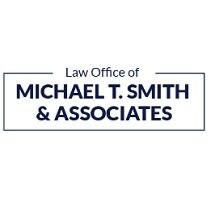 As the founder of the Michael T. Smith Law Offices located in Roselle, Illinois, Mr. Smith advocates on behalf of those who have suffered injustices on the job. Whether you have been the victim of discrimination, retaliation or a wrongful termination, the office team works to help you obtain fair compensation or to see you restored to your prior position. Since 1981, Mr. Smith has served clients in Roselle, Elgin, Schaumburg, Chicago and other cities throughout Cook County. Before entering into the legal field, Mr. Smith served in the U.S. Army as a military police officer and as a law enforcement officer with the Downers Grove Police Department, which helped form his sense of what is just and fair. He uses his background to help you understand what your rights are under state and federal laws. Dealing with a stressful job situation can leave you feeling uncertain about your financial future. The law office team is only too familiar with the worries you have, and they are dedicated to helping you through this difficult time. Beginning with a free initial consultation, until your case is resolved to your satisfaction, Mr. Smith and his staff take up your cause, and work to see the wrongs against you made right. Having more than 30 years of experience, Mr. Smith is well-versed in the ins and outs of filing formal charges with the Illinois Department of Human Rights and the U.S. Equal Employment Opportunity Commission. For your convenience, Michael T. Smith Law Offices accepts credit cards as a form of payment.